Jesse and Lee share a house owned by a very nice Chinese dentist, where it rains in the hall. They move to cabins on the cliffs at Big Sur where the deafening croaks of frogs can be temporarily silenced by the cry, ‘Campbell’s Soup’. Ultimately, we learn how the frogs are permanently silenced … and dreams disperse around a fire into 186,000 endings per second. 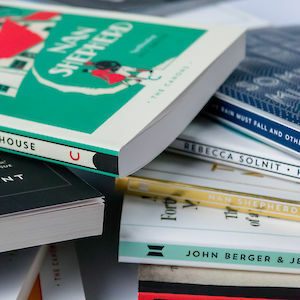 In anticipating flower power and the ideals of the Sixties, Brautigan’s debut novel was at least a decade before its time and remains a weird and brilliant classic. 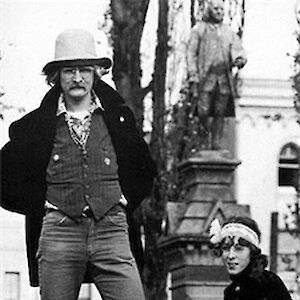 Richard Brautigan was born in Tacoma, Washington where he spent much of his youth, before moving to San Francisco where he became involved with other writers in the Beat Movement. During the Sixties he became one of the most prolific and prominent members of the counter-cultural movement, and wrote some of his most famous novels including Trout Fishing in America, Sombrero Fallout and A Confederate General from Big Sur. He was found dead in 1984, aged 49, beside a bottle of alcohol and a .44 calibre gun. His daughter, Ianthe Brautigan, has written a biography of her father, You Can’t Catch Death.